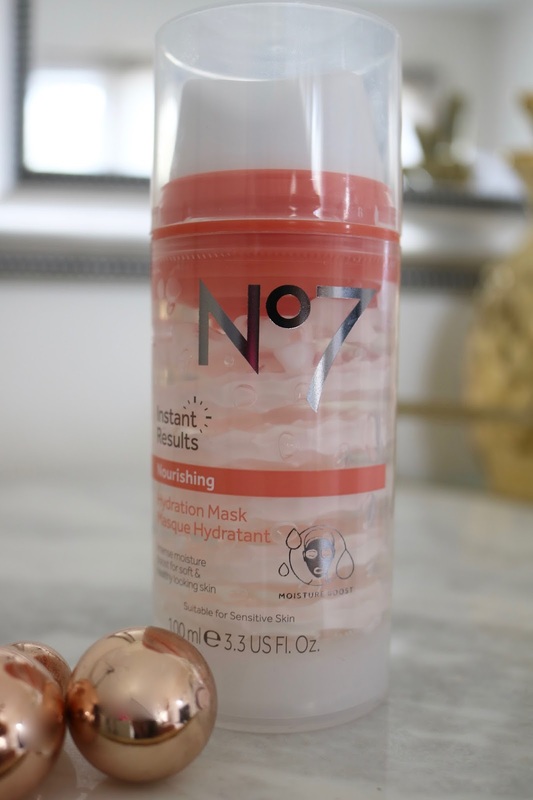 No7 has 3 new masks that promise instant results: the Instant Results Revitalizing Hydrogel Eye Masks, the Instant Results Nourishing Hydration Mask and the Instant Results Purifying Heating Mask! Do they really give you instant results though? 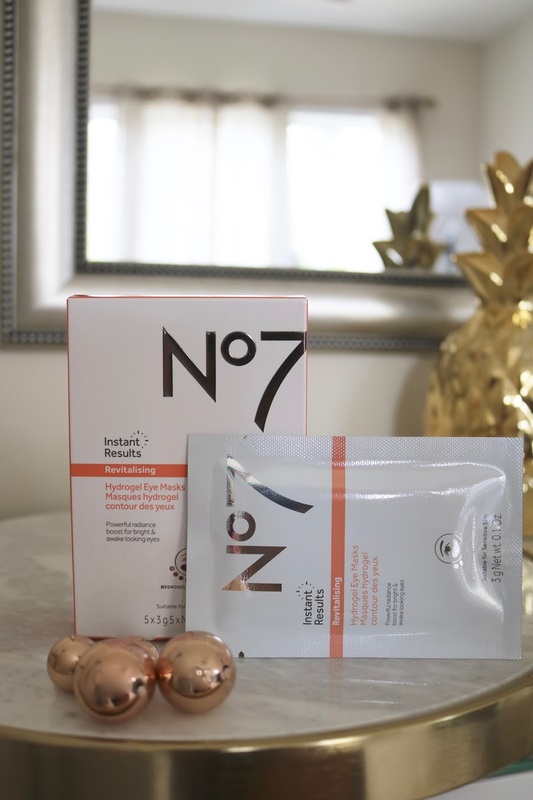 No7's Instant Results Revitaliying Hydrogel Eye mask will help your under-eyes to look more soothed & brighter. 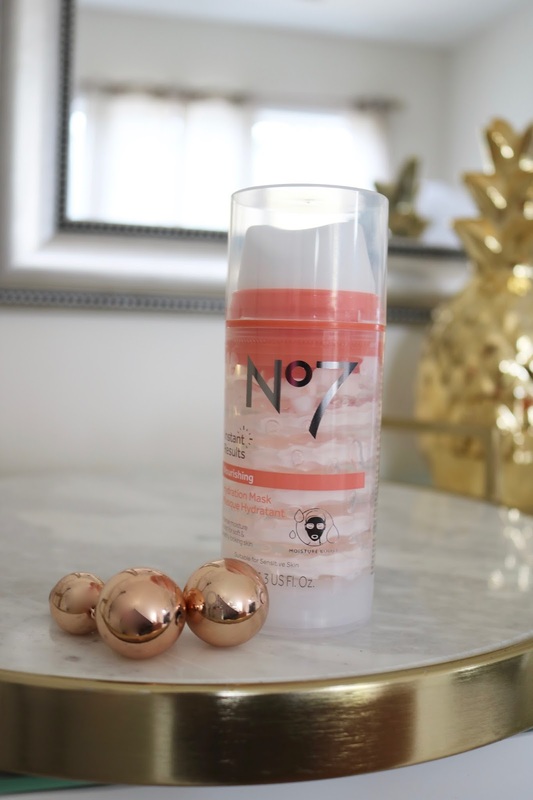 Apply them right after the shower in the morning (and enjoy the cooling effect! ), have your cup of coffee (or tea) and shortly before you apply your makeup, remove them. They will help to reduce the appearance of puffiness for a smoother makeup application! 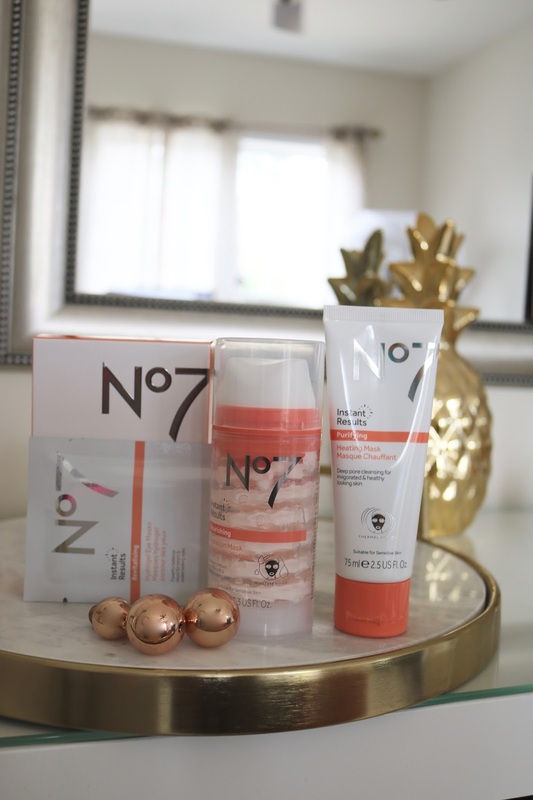 Instant results approved- however don´t expect them to last all day! I love that they contain also Vitamin C which can help in the long run to get rid of darker spots too! This mask looks so cool (picture below)! See that? It´s just really neat to see, how the mask spirals down the tube- don´t you think? Well, besides that... this is for you dry girls! This mask is deeply nourishing and contains a blend of skin identical lipids that instantly get to work to intensively moisturize your skin. The Result: Skin feels hydrated, beautifully soft and has a bright appearance. Don´t have dry skin? I hear ya! Try the Purifying Heating Mask instead -to achieve shine free skin! You skin's natural oils are essential for keeping it healthy, however, pollutants, hormonal changes and everyday stress can cause your skin to become congested; increasing the appearance of pores and leaving your complexion looking dull. Sad face! 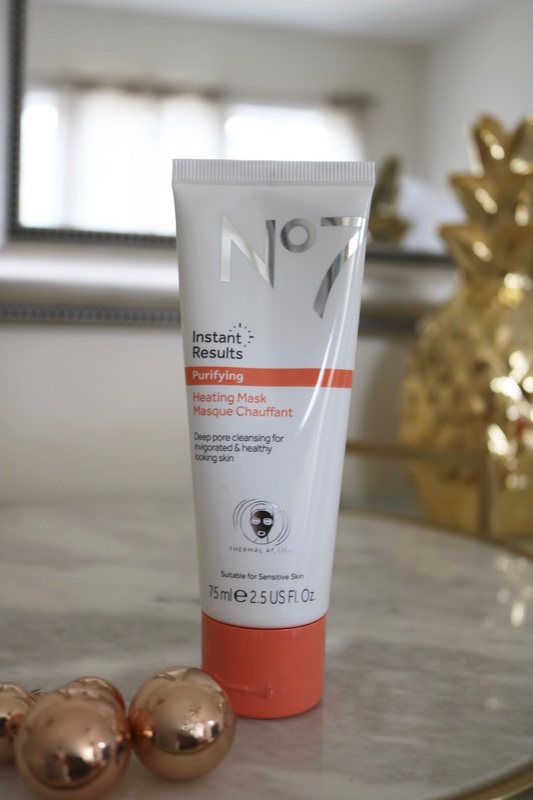 No7's Instant Results Purifying Heating Mask uses a gentle thermal action to open pores and effectively draw out impurities for a deep pore cleansing action. As you massage, the exfoliating pumice particles work to effectively sweep away everyday dirt & impurities. As you rinse, it tightens pores to leave your skin feeling refreshed and incredibly clean. The Result: Skin feels deeply cleansed and moisturised, with an instantly shine free and more healthy appearance. Yay to that! The Purifying Heating Mask is definitely my new favorite!